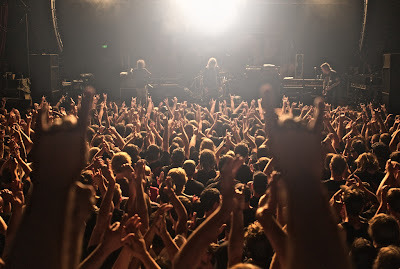 Just got back home from seeing one of my favorite bands MASTODON live! The played their 2009 album Crack The Skye (my album of the year) in it's entirety, from beginning to end. All killer, no filler! They then had a small break and then walked back on and ripped into a dark and brutal set covering highlights from their back catalogue. One of those all to rare, intensely beautiful live music experiences.